There is a little sports event going on here in NZ, Rugby World Cup fever has been taking over the last few weeks. And what a show NZ is putting on. The whole country, from tip to toe, has been getting in to it. All over town houses are decked in flags and bunting and cars are zipping all over the place with the flags for there respective countries. I have gone with Scotland and of course the All Blacks. It is impossible not to get in to the spirit. Auckland has just come alive these last few weeks and shown what an amazing event we can put on. From all accounts it is the same all over the place....Dunedin was apparently like a little Dublin last week with scores of Irish in town to support their boys. Sadly Scotland got sent packing last weekend, in the last few moments...it was excruciating! However so far so good for our boys in black, the hopes of the whole country rest on their shoulders, and what lovely shoulders they are! In support of our boys last weekend we had a bit of a street get together to watch the All Blacks take on Canada. Chips and dips and delicious homemade burgers, that got eaten way too quickly for any photos. And my contribution, homemade ice cream for dessert. 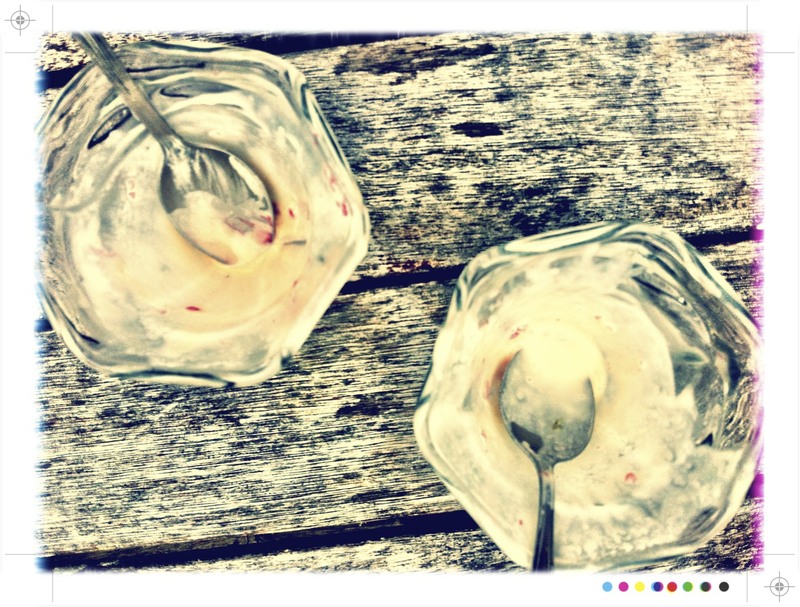 You just can't beat homemade ice cream, somehow so much richer and creamier than any of the bought stuff. 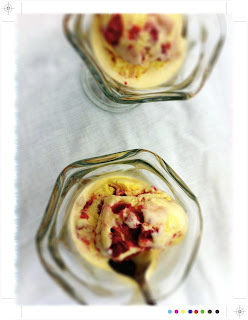 Raspberry ripple came to mind and it gave me a chance to finally sample The Perfect Scoop by David Lebovitz. If you like ice cream you will love this book. So many wonderful flavours and then a myriad of deliciousness that can be added, candied pecans, chocolate covered peanuts, marshmallow, candied cherries, chocolate truffles, honey sesame brittle, pralined almonds. Foreseeing an abundance of ice cream over the summer months. And that is before we even get on to the vessels...almond butterscotch cookie cups, homemade ice cream cones, chocolate tartufi. Yes lots and lots of ice cream making is on the cards. Given the sweetness and richness of the ice cream I reduced the sugar with the raspberries and as it was a child friendly affair I left out the vodka! 250ml milk - full fat! 1/2 tsp vanilla extract or you could use the seeds from one vanilla bean pod. I quite like my ice cream flecked with vanilla. For the ice cream, warm the milk, sugar and salt in a medium saucepan. 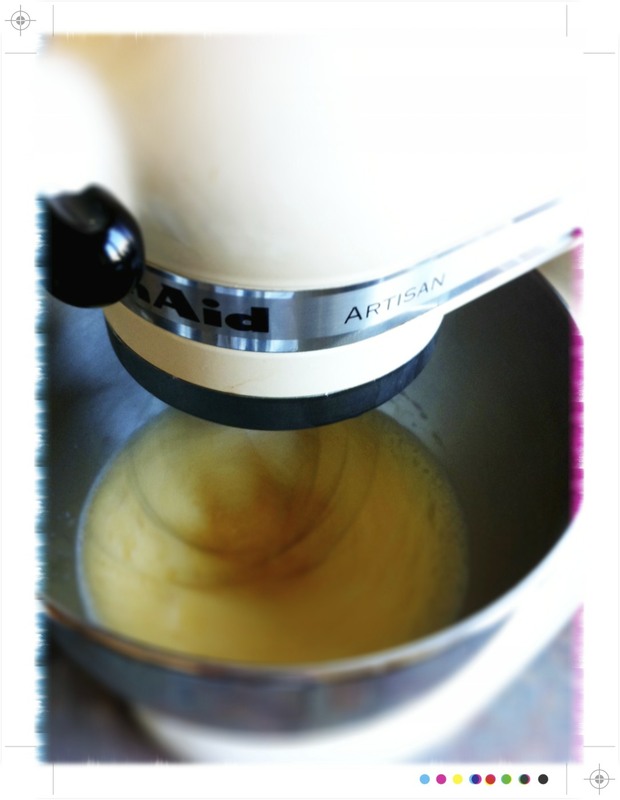 Place the cream in a large bowl with a sieve over the top of it. In another bowl whisk together the egg yolks. I like to use the Kitchen Aid as it makes them so light and ribbony and also then so easy to slowly drizzle in the warm milk to the egg yolks all the while whisking away. Place the warmed almost custard back in the saucepan and stir constantly over a medium heat until the mixture thickens and coats the back of a wooden spoon or spatula and is actually custard. In case of an emergency has a basin full of cold water on hand and if it looks like it might be about to curdle just plunge the pot in to the cold water and whisk like crazy. Pour the custard through the sieve and stir it in to the cream. 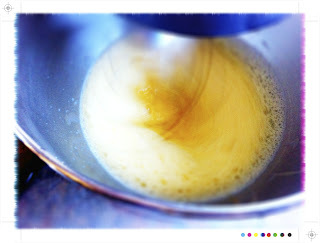 Add the vanilla and stir. You could stir until cool over an ice bath but a find a good mix and then straight in to the fridge works just fine. Allow the custard to cool thoroughly in the fridge. 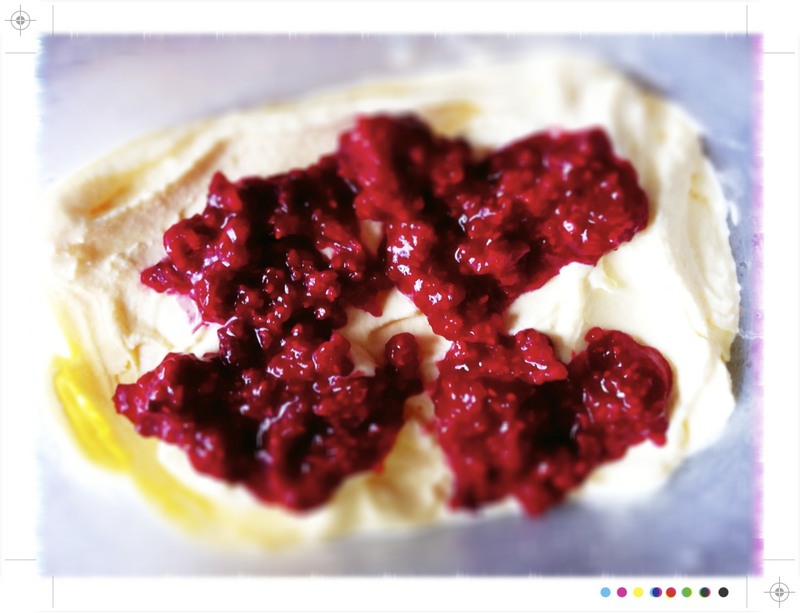 An hour or so before churning the ice cream roughly mash the raspberries with a fork together with the sugar and vodka, if using. 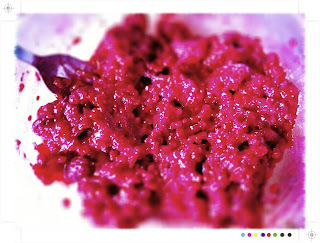 If using frozen raspberries let them that a little first, but leave a few good sized chunks of raspberry for a little texture. 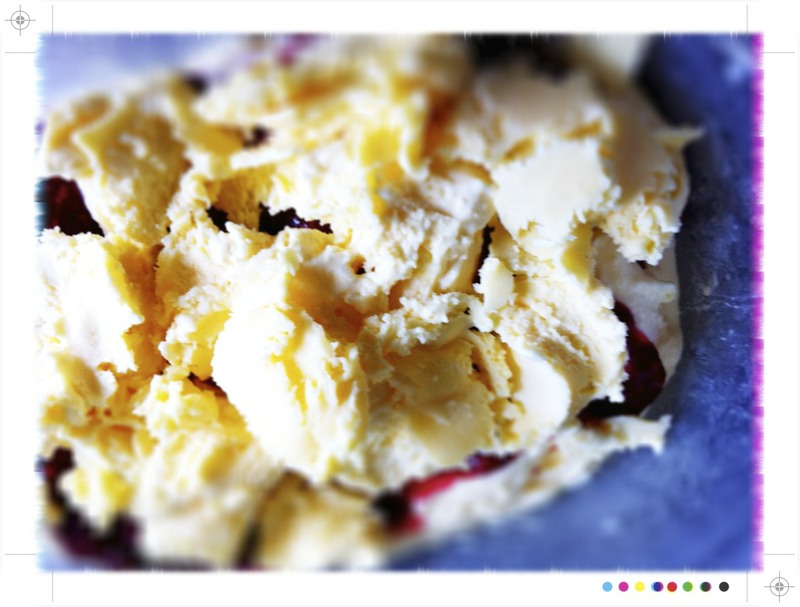 Chill the raspberries until you are ready to churn. Place the custard in your ice cream maker and follow the manufacturer's instructions. Once the ice cream is churned place a layer in the bottom of a container and then top with spoonfuls of the raspberry mixture. Keep layering until everything is used up. 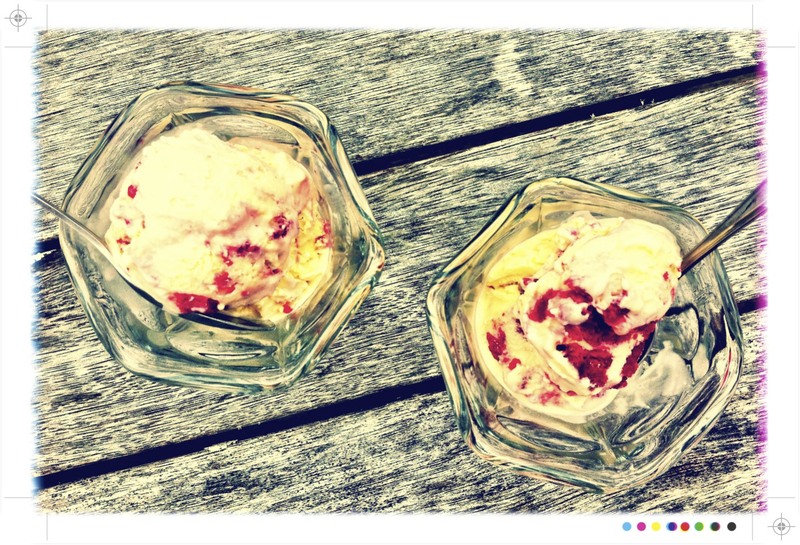 Pop in the freezer for an hour or son and then remove 10-15 minutes before serving and then you will have the best raspberry ripple ice cream you have ever tasted. You could use any berries you like, blackberries, blueberries, strawberries I think would all be quite delicious. Also thinking that a dollop of lemon curd swirling along side the raspberries would also be terribly moreish. Truly scrumptious! All this sweetness reminded me of Chitty Chitty Bang Bang when they go through the sweet factory, it is a favourite childhood movie of mine, except for the terrifying child catcher who scared the bejesus out of me. Being a little girl I so wanted to be Truly Scrumptious with all her pretty flouncy dresses. I also wanted to have a flying car Actually a flying car would still be quite handy. They certainly don't make movies like that anymore. Back to the ice cream. 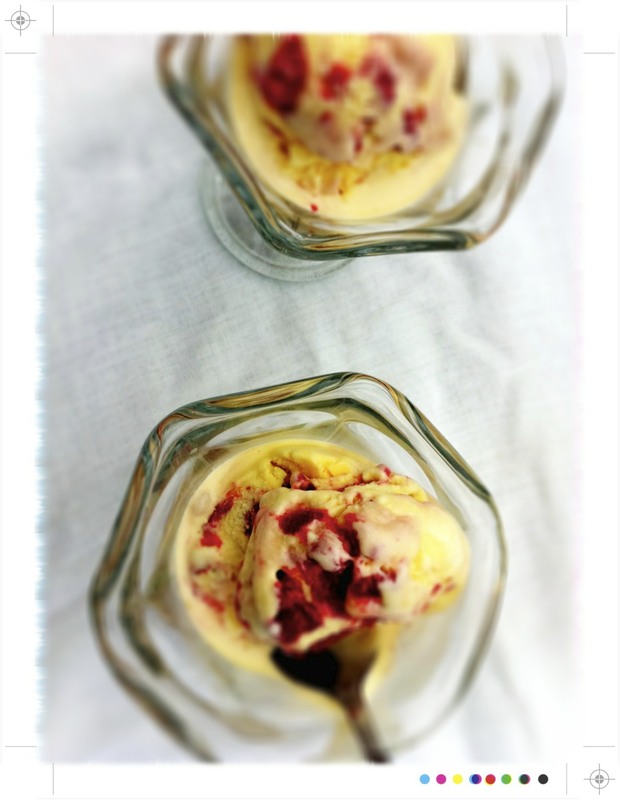 So rich, so creamy and sweet and fruity from the raspberries. It was also pretty much the perfect accompaniment to the chocolate brownies on offer. 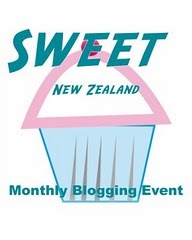 This is also my entry for this month's Sweet New Zealand being hosted, this month by Sue, over at Couscous and Consciousness, so if you would like to join in head over there and check it out. Ice cream!! Is all I can think now. This looks sooo pretty, with those beautiful pink swirls. I have to say it is possible not to get into the RWC spirit of things, but appreciate that lots of people are - sorry to hear scotland the brave got sent home too soon! Totally agree about flying cars, for one thing I'd be way more motivated to get my license! Yum this looks sooo good. And like a better version of my all-time favourite Jellytip! Whoops, there goes my diet! 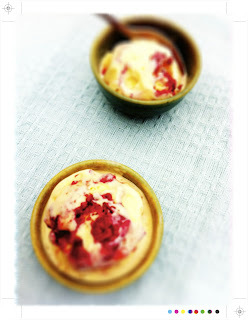 I have raspberries in the freezer calling out to become this ice cream! Truly Scrumptious, indeed. I was a huge fan of Chitty Chitty Bang Bang when I was young, and then enjoyed it so much with my boys when they were little. I love Grandpa in his little house! This looks delicious! I think raspberry is my favourite flavour ice cream. Will have to try this out; have been meaning to try home made ice cream. And now I have 'toot sweets, toot sweets, the sweet you can whistle, the whistle you eat' in my head! Great entry for Sweet New Zealand, and great touch adding the Toot Sweet song :-)!!! Gorgeous looking ice cream - can't wait to give this one a try. I've had The Perfect Scoop on my wish list for ages - looks like I just might have to invest before summer arrives. Thanks for sharing with Sweet New Zealand this month. @hungryandfrozen Thanks Laura...surely even you will catch a little RWC fever this weekend!! @With Love, Mags Thanks :) Yes I left the ice cream with neightbours, otherwise I would have scoffed the lot! @Maria Thanks Maria :) I should try & find a sugar free way for you to try! 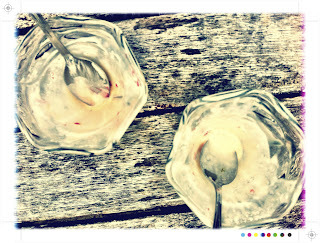 @timeforalittlesomething.com Lol, and yes raspberries so good in ice cream,,,next time may even add some dark choc chips.